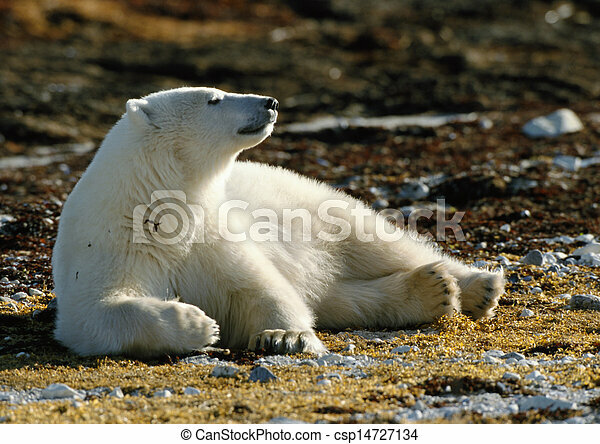 Polar bear lying on brown ground. 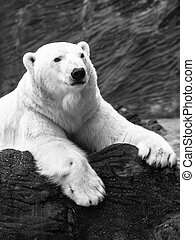 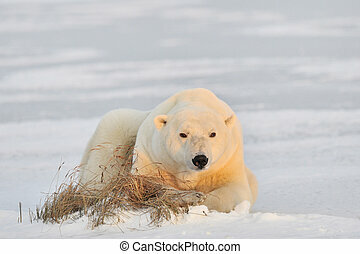 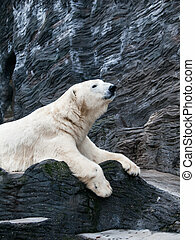 Canada, polar bear lying on brown ground with sparse patches of snow, full length. 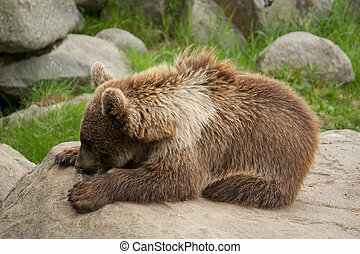 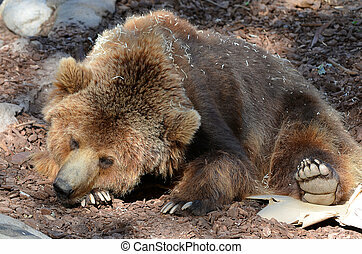 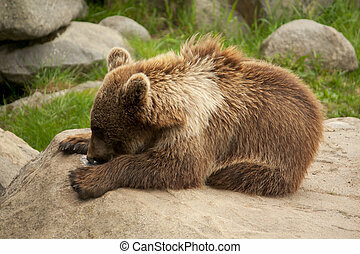 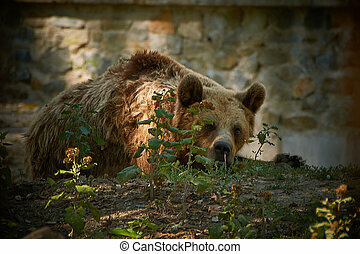 Brown bear lying on the ground (Ursus arctos arctos). 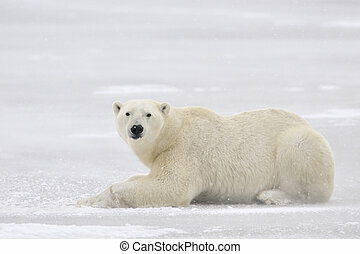 Polar bear lying on ice. 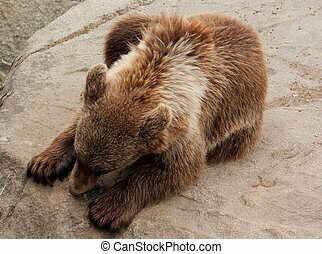 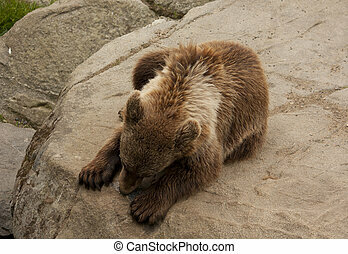 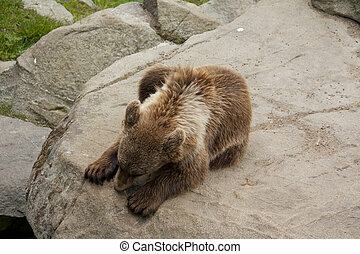 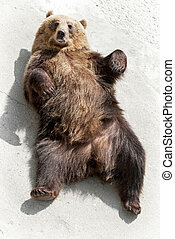 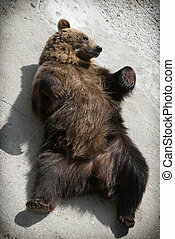 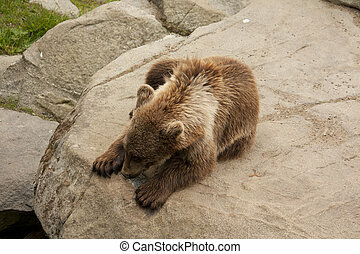 Brown bear (Ursus arctos arctos) lying on the ground. 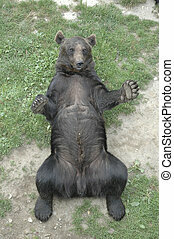 Funny animal photo.